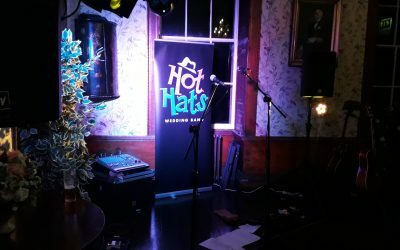 Acoustic Wedding Band - The Hot Hats - Live music + free DJ service. If you are looking for live wedding entertainment then look no further! Acoustic wedding band the Hot Hats are one of the UK’s leading wedding bands. With over four hours of live music, a free tailored DJ service and a unique up-tempo sound of a full band, these wedding guitarists can be relied on to fill any dancefloor.